Buying a home is a big step in your life. One of the biggest steps you will ever make. This is a place you will be raising a family, sleeping, keeping beautiful, and will make your “home.” As you are looking for home for sale in Idaho, the best place, as a buyer, to look is with an agent here at The Group Real Estate. Idaho Falls Real Estate is booming and we are right at the head of it all. Realtor com Idaho is a place to start your real estate Idaho falls search, but make sure if you are in the need to buy, wanting to move forward with this decision can be very difficult. As you look through the Zillow markets and the Zillow agents, you will see so many of our agents pop up for you, showcasing the strong case that we can make to help you get into the home that you want. Buying a home is not an easy task, and that is okay. That is why we specialize in helping you be in the best position to buy your very own place to call home. Buyers in today’s buying market have a median age of about 40 years old, are married or living with a partner, which makes up seventy percent of buyers, and usually earn a median yearly salary of about eighty thousand dollars annually and are overwhelmingly Caucasian/white. This is about seventy three percent. Typical homes purchased in today’s market are usually three bedroom and 2.5 bathrooms, they are usually 1800 square feet and cost, roughly, $200,000. Over four in ten (which makes up forty two percent) of all home buyers are first time buyers, and nearly thirty two percent first time-buyers are non white. More than anything else, buyers want their home to be in a safe neighborhood and within their desired price range. Roughly seventy one percent of buyers want a safe neighborhood and sixty seven percent want the home to be within their desired price range. One of the top four required home characteristics that first time home buyers, as well as second, third, etc home buyers, want in their purchase is air conditioning. This range is just over half, around sixty two percent. Over half the buyers in this market (fifty two percent) will consider new construction homes, and nearly thirty three percent consider other types of non-traditional type for-sale homes, such as foreclosures, and short sales. These numbers are about thirty six percent on being okay with buying a foreclosure and thirty four percent considering the short sale. Home buyers, roughly, take about 4.3 months on average in searching for their new home, with Millennials taking the least amount of time, which is just under four months, and their grandparents in the Silent Generation taking longer, around five and half months. Buyers in today’s market rely on online marketing tools more so than any other these days, making up about seventy nine percent and agents to find their homes. Seventy four percent being the number who will make sure to use a realtor for their buying needs, in acquiring a new home. And in this number, fifty three percent use only one agent for their buying needs, making it known that when they make another sale, want to buy, etc, they will reach out to that same agent. 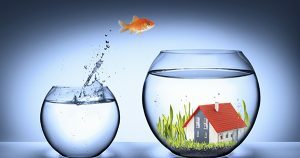 Seventy nine of the buyers, going after a new home, will make sure to stay in the same location, city, town or area that they are already living in. Just under half the buyers out there will buy a home that is in the suburbs, making up about forty nine percent of home buyers in the market, followed by the urban, which is around thirty one percents, and nineteen percent purchasing a new home in rural locations. Nearly one third of buyers will go over on their budget, with those living in urban areas being the ones who go over their budget more so than any other locale. In obtaining a mortgage for the purchase of your home, you will find that this is done more so by Millennials and Generation X-ers, making up eighty percent of home buyers doing so from the Millennial side, and eighty four percent coming from the Generation X-ers. When it comes to doing a down payment on their home, you will find that about twenty four percent of new home buyers put about twenty percent down on their homes and those who put down more than twenty percent being roughly twenty one percent of new home buyers. These are just a few numbers and facts to get you started. 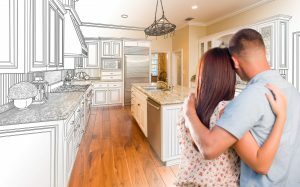 As you look into buying your first ever home, please take into consideration some of these exact things, options and notions. This is a big step, but know that it is a great, and wonderful, step to be taking. When it comes to taking these steps, you want to be ready for the biggest purchase you will ever make in your life. As you do that, that is why I wanted to point out these little facts for you. Happy home buying to you all.